In the co-main event, Daniel Cormier stepped on the scales at 224, the lightest in career. while his opponent Roy Nelson came in at 249. 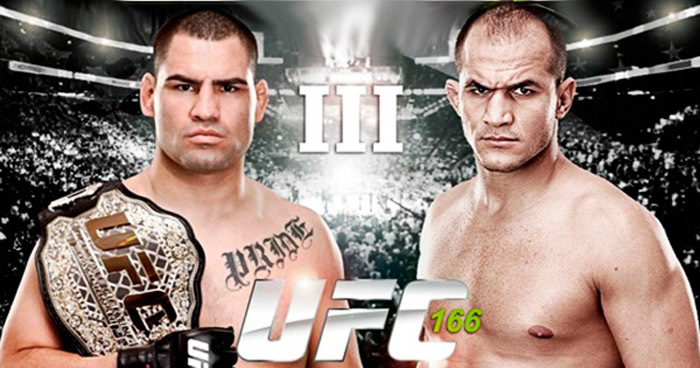 The event, which will be held in less than 24 hours, will feature the rubber match of Cain Velasquez and Junior dos Santos. The rivalry between the two fighters traces back from the promotions first ever appearance on Fox. On that fight, dos Santos made quick work of Velasquez as he stopped the champion within a minute of their encounter. Velasquez would come back 13 months later by beating up the then-champion dos Santos for five rounds. The third fight between the two will decide the best heavyweight in the history of UFC. UFC 166 will air its main cards via pay-per-view while the prelims are set to be shown in Fox Sports 1 and will stream live on Facebook.